Fast pace… Quick (buck) passing… Strategic attacks – no not the Irish general elections, its the Umbrella 7s 2016! Umbrella 7′s Cup Winners in 2015. 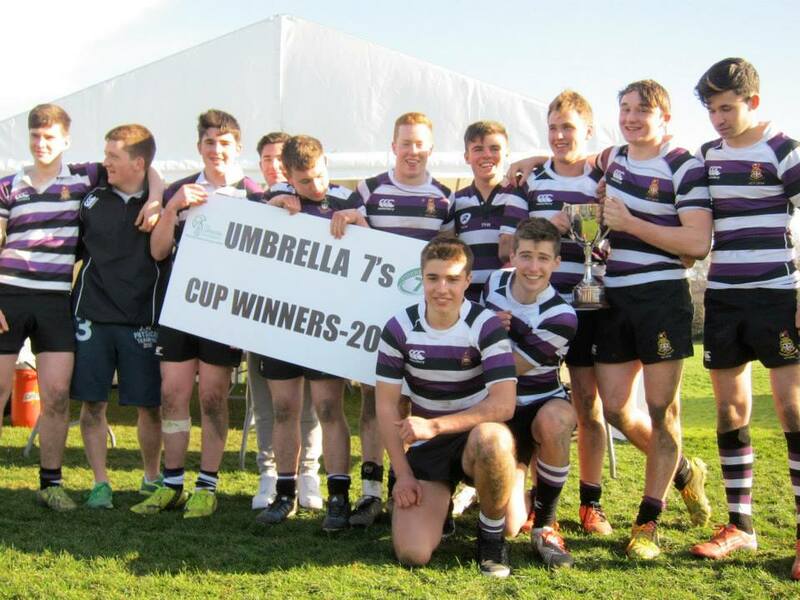 The Umbrella 7s will take place in Terenure College on April 16th. Now in it’s 5th year, the Umbrella 7s gets Irish boys U15s and U17s to raise money for less fortunate youngsters in Nepal, while engaging in a brilliant brand of rugby the season before their Junior and Senior cupchallenges! 2016 U17s & U15s Cup winners YOUR TEAM????? AND in the year that 7s Rugby comes to the Olympics! 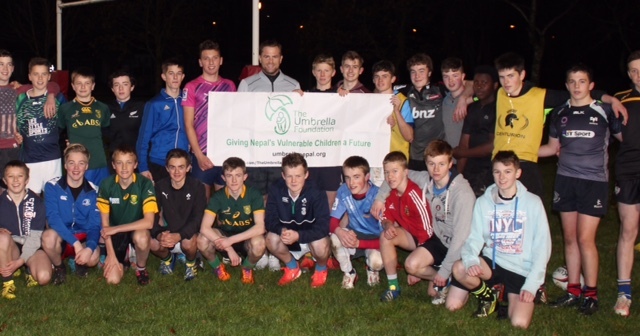 The Umbrella 7s is endorsed by our patron Jamie Heaslip, Ireland manager Joe Schmidt and former Ireland international Tony Ward. Entry per team is €300 (or €25 per player), with competitions for U15s and U17s. To add to the incentive to fundraise, we are delighted to announce that Jamie Heaslip has once again offered to do a training session with teams raising in excess of €2000 (or €165 per player). Last year Kilkenny College succeeded in raising the funds and had a brilliant afternoon with Jamie going through various aspects of their game with the Lions, Ireland and Leinster Legend! There’s no doubt it’s a challenge but that’s where teamwork comes into play! Jamie at the training session in Kilkenny 2015. The event takes place just over a year since the earthquake that struck on the 25th of April last year. Since then, there have been many aftershocks, as well as the blockade imposed on the country, further exacerbating the difficult road to recovery. Events like the Umbrella 7s raise critical funds for people in need in one of the worlds poorest countries.